Discover the benefits of the Elemis Peptide 24/7 Renew and Refresh Collection; a luxurious four-piece kit that helps to support the skin's natural processes for a well-rested look around the clock. An effective cleanser that delivers an ultra-clean feel without stripping skin of essential moisture. The gentle formula creates a luxurious lather upon contact with water and carefully melts away daily dirt, makeup and impurities. Ideal for sensitive skin types, the wash is enriched with Fig and Apple Amino Acid, which work in synergy to protect skin’s moisture barrier, whilst Pracaxi oil softens the complexion. Complete with a fragrant blend of Lemon, sweet and bitter Orange and Ylang Ylang. A luxurious formula that combines the hydration of a cream with the protective benefits of an oil. 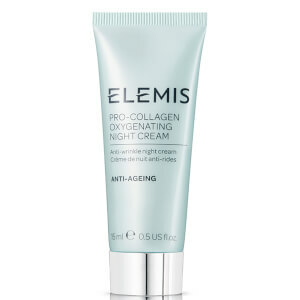 Encouraging skin renewal whilst most receptive to repair, the night-time treatment utilises Elemis' Tetra-Peptide, which supports skin’s natural circadian rhythm and therefore enhances repair during sleep. Perilla Seed and Night Scented Stock Oils work in synergy to ensure the complexion is balanced and restored to allow you to wake to a healthy and radiant visage. Expect intense replenishment. Powered by a Willow Complex that blends buds of white and violet Willows sourced from the UK with Black Willow Bark from the US, the luxurious formula gently exfoliates the face to dislodge dead skin and impurities for a smoother, more refined texture. Fortified with a Yeast Peptide, Brazilian Black Clay and Nordic Peat (rich in minerals, vitamins and antioxidants), the radiance-enhancing treatment leaves skin looking bright and healthy with a luminous glow. Helps to minimise the look of fine lines and wrinkles, whilst targeting visible pores and promoting an even tone. Fortified with Night Scented Stock (a delicate flower, grown in East Anglia, that produces a seed oil rich in Vitamin E and essential fatty acids), the anti-ageing cream helps to minimise the appearance of fine lines and wrinkles for a smoother, more refined eye contour. Combining Hawkweed and Daisy Extracts, the lightweight, quick-absorbing treatment targets under-eye dark circles, whilst soothing puffiness and diminishing signs of fatigue for eyes that look well-rested and revitalised. Skin looks firm and youthful with long-lasting moisture. Facial Wash: Massage into dry skin every morning and evening with fingertips. Add warm water to create a luxurious, creamy lather, then rinse off. Cream-Oil: In the evening, apply 1-2 pumps into your hands and warm together. Gently smooth and massage over cleansed skin. Mask: Apply to the face and neck, leaves for 15 minutes. Remove with warm water and a dark cloth. Eye Cream: Apply to your ring finger and delicately pat around the delicate eye area until absorbed. Facial Wash: Aqua/Water/Eau, Cetearyl Alcohol, Ammonium Lauryl Sulfate, Hectorite, Sodium Stearoyl Glutamate, Disodium Cocoamphodiacetate, Propylene Glycol, Phenoxyethanol, Hexylene Glycol, Lactic Acid, Sodium Chloride, Xanthan Gum, Sodium Cocoyl Apple Amino Acids, Chlorphenesin, Disodium EDTA, Benzoic Acid, Citrus Aurantium Dulcis (Orange) Peel Wax, Pentaclethra Macroloba (Pracaxi) Seed Oil, Fragrance (Parfum), Glycerin, Sodium Dehydroacetate, Benzyl Benzoate, Citrus Limon (Lemon) Peel Extract, Tetrasodium EDTA, Ficus Carica (Fig) Fruit Extract, Cananga Odorata Flower Oil, Citrus Aurantium Dulcis (Orange) Peel Oil, Citrus Limon (Lemon) Peel Oil, Myristica Fragrans (Nutmeg) Kernel Oil, Sodium Benzoate, Potassium Sorbate, Citrus Aurantium Amara (Bitter Orange) Leaf/Twig Oil, Citrus Aurantium Amara (Bitter Orange) Peel Oil, Coriandrum Sativum (Coriander) Fruit Oil. Cream-Oil: Aqua/Water/Eau, Glycerin, Coco-Caprylate, Cocos Nucifera (Coconut) Oil, Glyceryl Oleate Citrate, Matthiola Bicornis (Night Scented Stock) Seed Oil, Simmondsia Chinensis (Jojoba) Seed Oil, Phenoxyethanol, Panthenol, Acrylates/C10-30 Alkyl Acrylate Crosspolymer, Fragrance (Parfum), Perilla Ocymoides Seed Oil, Chondrus Crispus Powder, Tocopherol, Ethylhexylglycerin, Sodium Hydroxide, Tocopheryl Acetate, Disodium EDTA, Benzyl Benzoate, Citrus Limon (Lemon) Peel Extract, Linalool, Limonene, Hydrolyzed Yeast Protein, Hexyl Cinnamal, Sodium Benzoate, Cananga Odorata Flower Oil, Citrus Aurantium Dulcis (Orange) Peel Oil, Citrus Limon (Lemon) Peel Oil, Myristica Fragrans (Nutmeg) Kernel Oil, Eugenol, Coumarin, Citrus Aurantium Amara (Bitter Orange) Leaf/Twig Oil, Citrus Aurantium Amara (Bitter Orange) Peel Oil, Coriandrum Sativum (Coriander) Fruit Oil. Mask: Aqua/Water/Eau, Glycerin, Sodium Acrylates Crosspolymer-2, Kaolin, Charcoal Powder, Betaine, Peat, Phenoxyethanol, Polyglyceryl-4 Laurate/Sebacate, Polyglyceryl-6 Caprylate/Caprate, Betula Alba Juice, Lactic Acid, Chlorphenesin, Salix Nigra (Willow) Bark Extract, Disodium EDTA, Polyquaternium-39, Fragrance (Parfum), Propylene Glycol, Silica, Salix Daphnoides (Violet Willow) Bud/Leaf/Stem Extract, Salix Alba (Willow) Bark Extract, Xanthan Gum, Sodium Benzoate, Hydrolyzed Yeast Protein, Melilotus Officinalis (Sweet Clover) Extract, Citric Acid, Citrus Aurantium Amara (Bitter Orange) Leaf/Twig Oil, Potassium Sorbate, Anthemis Nobilis Flower Oil, Cistus Ladaniferus Oil, Helichrysum Angustifolium Flower Extract. Eye Cream: Aqua/Water/Eau, Glycerin, Coco-Caprylate, Cocos Nucifera (Coconut) Oil, Glyceryl Oleate Citrate, Buglossoides Arvensis (Star Arvensis) Seed Oil, Bellis Perennis (Daisy) Flower Extract, Hieracium Pilosella (Hawkweed) Extract, Mica, Simmondsia Chinensis (Jojoba) Seed Oil, Panthenol, Acrylates/C1030 Alkyl Acrylate Crosspolymer, Hydroxyacetophenone, Phenoxyethanol, Xanthan Gum, Tocopherol, Perilla Ocymoides Seed Oil, Sodium Hydroxide, Tocopheryl Acetate, Disodium EDTA, Sodium Citrate, Citric Acid, Sodium Benzoate, Matthiola Longipetala (Night Scented Stock) Seed Oil, Sodium Dehydroacetate, Hydrolyzed Yeast Protein.